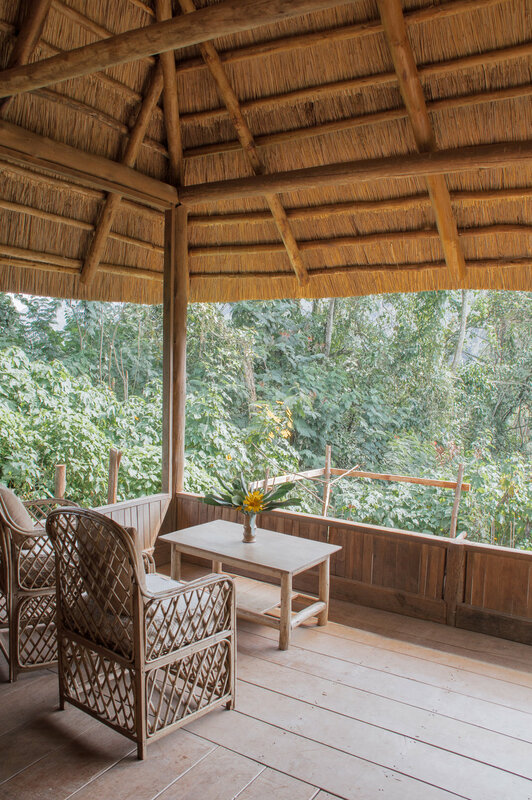 Welcome to the perfect jungle bungalow at Volcano Safari Lodges! 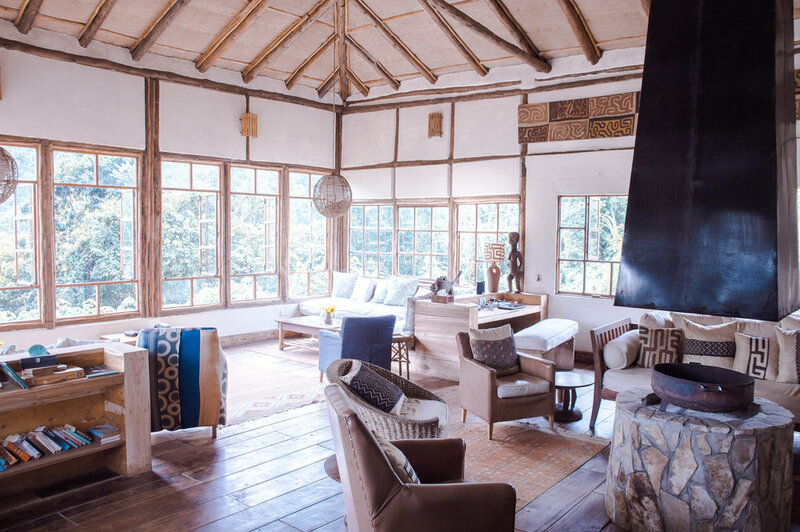 When we went gorilla tracking in Bwindi Uganda, this was the ideal place to stay. The property is intimate, with only 8 private bungalows available to couples or families. Set in a pristine garden of beautiful flowers, meadows, trails, and streams, the location of the Lodge was breathtaking. We often found ourselves sitting quietly on the bungalow porch and letting our minds escape into nature. 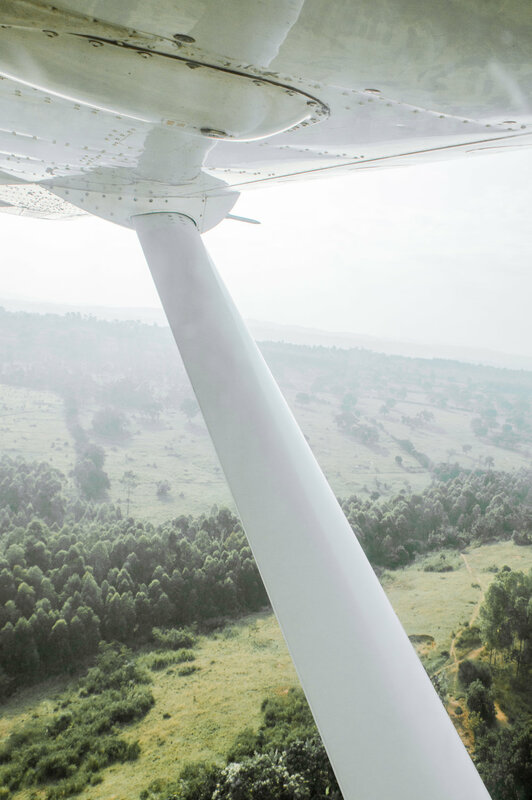 To get here, you are likely going to travel to Uganda through Entebbe International Airport and then transfer to a smaller regional plane to get to Bwindi. This can be somewhat complex, so we would recommend you work with someone on the ground to help coordinate things. We used Go2Africa and they were seamless! 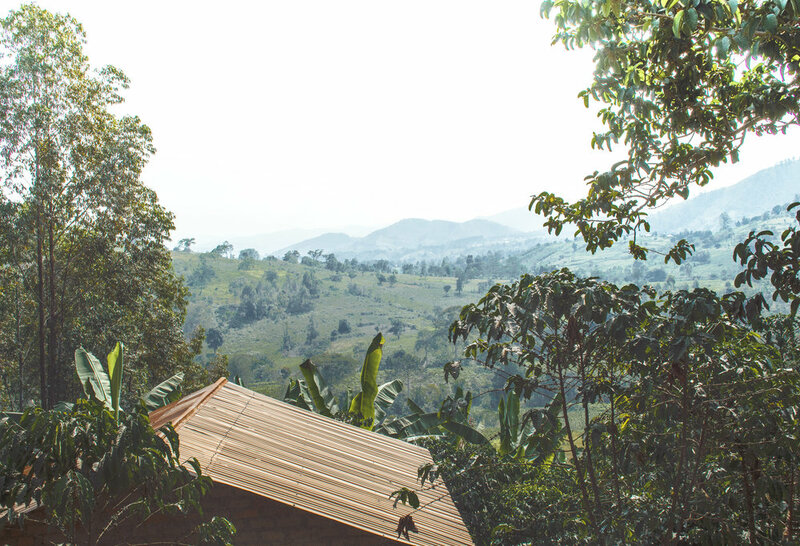 Once you get to Bwindi, Volcanoes Safari arranges for a Jeep to come pick you up and take you on the ~40 min ride to the forest's edge, where their resort is located. Along the ride you drive through some of the smaller towns and see the way people live in the countryside. 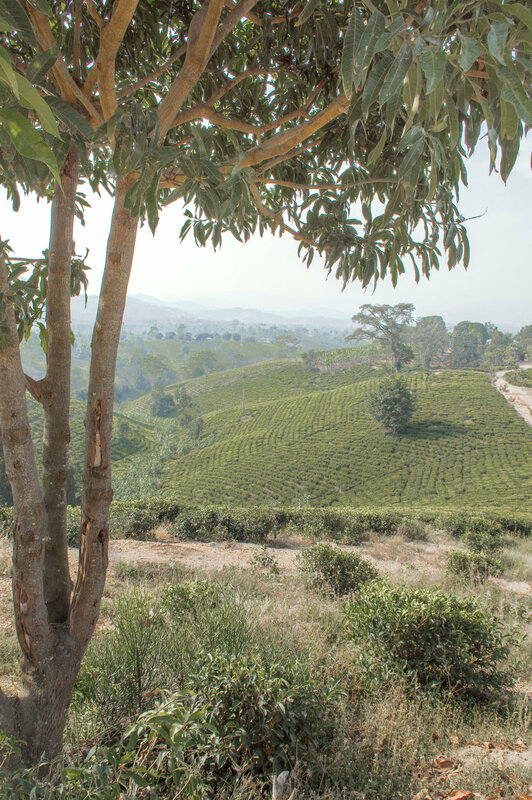 We loved the journey as our driver stopped to point out some of the native plants and explain how the local people made a living from things like making bricks or harvesting and drying out tea leaves. 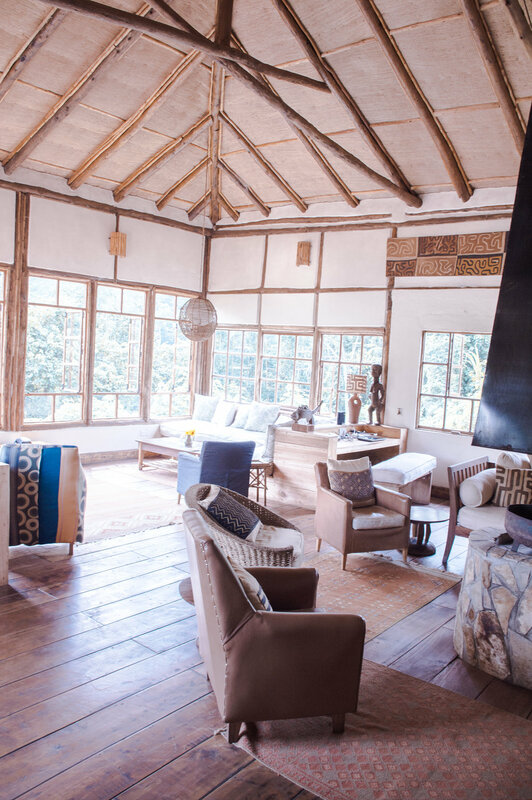 They think of EVERYTHING at Volcanoes Safari Bwindi Lodge and treat you like royalty. They even provide a butler if you need anything! Ours was Adolf. He basically became our new best friend (He’s a booking agent for rock bands on the side, how cool is he?). And to greet you, there's a band of local kids that sing your welcome with a fresh glass of juice. What really did it for us, was the little touches of luxury throughout the stay. From the flowers in your room upon arrival, to packed lunches and leg protectors for your trekking adventure (so you don't hassle with any bugs/ brush), to cleaning your shoes for you when you get back (which trust us you will definitely need) they do it all. Now let’s talk about the food for a minute. Chef Monica is off the chain! She’ll make anything you want and really only uses simple seasonings local to the area. Don't worry if you have any allergies, they are very accommodating! We eat mainly a plant based/paleo diet and they were able to organize a custom menu for us at every meal. It was beyond thoughtful! You can even arrange to have any of the meals at your bungalow. Breakfast: Probably our favorite part, was every morning they will wake you up with tea or coffee before breakfast. But to let you know they’re coming, they start singing. It’s magic. Dinners: We would opt for eating in the main area. They have a big long table for communal seating. You hear about all the adventures everyone experienced for the day. (And if your luggage gets lost like ours did, maybe there will be a nice person to lend you a pair of trainers!) They bring out the meal in courses. And there is nothing that makes a meal more satisfying than when you get to have 4 mini meal courses (anyone else with us?). Village tour to see the local pygmy tribe. I know what your thinking, how many local village tours are too many? Answer NEVER! 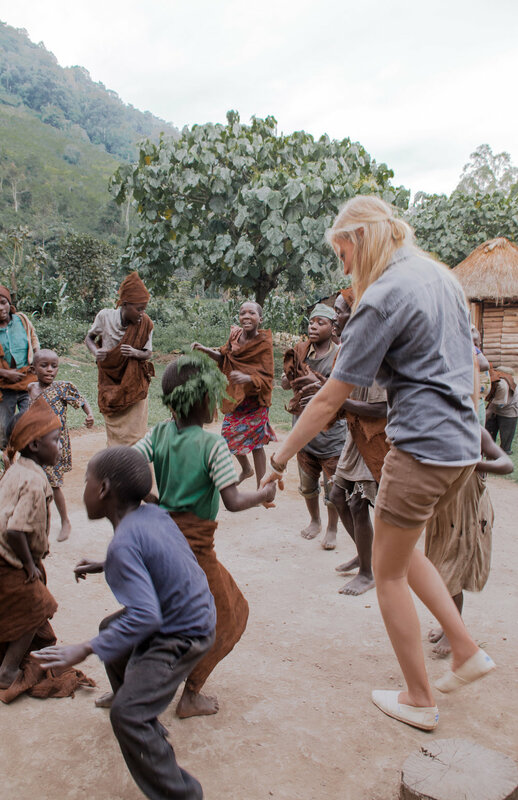 This tribe was kicked out of the forest to keep the gorillas safe, but their culture continues. What's unique to them is they are actually quite small in stature (mostly under 5 ft.) . Worth a visit. Or if your in the mood to relax, it’s the perfect place to just kick back. They have Wi-Fi in the main lobby (if you want to get connected) and some local board games too. 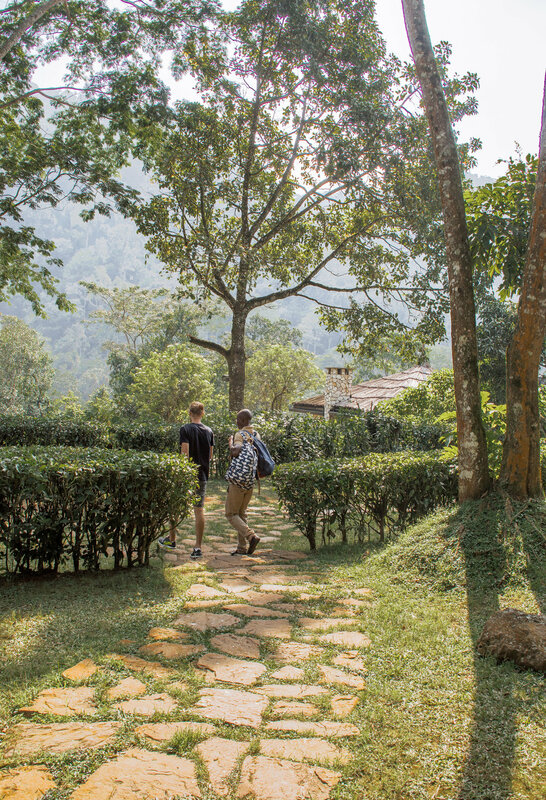 Trust us, you won’t regret spending your time at Volcanoes Safari Bwindi Lodge!